On March 15, 2016, Electro Purification withdrew their Temporary Permit application (originally filed on September 18, 2015) and submitted a Test Well Permit application package. The applicant submitted the request to complete an aquifer test on three of the six existing test wells. The applicant intends to use this aquifer test data to support a future Production Permit application and to develop a Hydrogeological Report. The applicant provided materials describing the proposed aquifer-test work plan, and upon review the District requested additional information and details on the aquifer testing and well development procedures. In response to the request, the applicant submitted a revised work plan and descriptive statement. The application and proposed work plan satisfied the District’s aquifer testing guidelines and administrative completeness requirements; therefore, the General Manager approved the Test Well Permit request on September 21, 2016. Test wells may be authorized under a District General Permit which may be approved by the General Manager and is not subject to notice or hearing requirements. In accordance with the General Permit requirements, this test well authorization allows Electro Purification to complete an aquifer test during a specific timeframe and authorizes a specific volume of groundwater that can be produced for the aquifer test. The authorization for groundwater production for the aquifer test under the General Permit expires once the test is complete. The wells are required to be plugged or permanently completed within six months from the completion of the aquifer test, unless Electro Purification reapplies for authorization to conduct further Aquifer evaluation. If Electro Purification intends to permanently complete the test wells, it will need to submit a Well Drilling/ Modification Application. If it intends to produce groundwater from a well for beneficial use it will need to submit a Production Permit Application along with a Hydrogeological Report. The permit volume and conditions will be informed by the aquifer test results summarized in the Hydrogeological Report. Both of those applications are subject to District Rules and Board actions. 10/17/16 – 2/28/17 Synopsis on ongoing Well Development/Aquifer Testing efforts. 12/19/16 Electro Purification is granted an amendment to the Test Well Permit for an increased volume to repeat the Bridges 2 pump test. 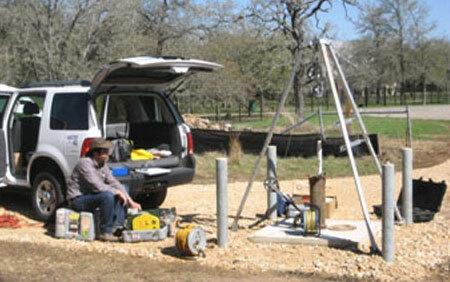 Typically, an aquifer test and Hydrogeological Report are performed on wells that are permanently completed. Alternatively, the District’s Rules allow for an aquifer test and report to be completed on temporarily completed test wells. However, the applicant must employ an alternative well design during the aquifer testing, such that it is representative of permanent completion. (EP Well Acidizing & Aquifer Test Work Plan). 1) Background sampling begins. Background water levels and water quality sampling data will be collected from specific community monitoring wells prior to acidization/ aquifer testing. Each of the three wells will be acidized by incrementally injecting 10,000 gal of hydrochloric acid (HCL) (28% aqueous solution) into the well’s producing Cow Creek interval. 60,000 gal of water will be incrementally flushed into the well via tremmie pipe. The well will sit for two days to allow pressure to reduce as well as allow the acid to react and neutralize while the pump and packers for the aquifer test are installed. The source water for the flushing procedure will be groundwater from an onsite well. 3) Aquifer Test/Purging begins. The three wells to be tested will be producing water during the testing which will occur over the course of eight to ten weeks. The well will be purged until there is no trace of acid inhibitors or HCL. Discharge water will be collected into a holding tank and buffered with additions of potash until pH reaches 6.5. The permittee will collect pH and conductivity/TDS reading prior to releasing the discharge water to the ground surface. During acidization the District staff will monitor field parameters from nearby domestic monitoring wells, as well as the wells being tested (pH and conductivity). Post-testing water chemistry samples will be collected from both several nearby domestic monitoring wells and the wells being tested after acidization/aquifer testing. After acidization, each well will be pumped to purge the injected fluid and this purging will begin the aquifer testing. Each well will be pumped for five days at about 500 gpm; then the well will be allowed to recover. Aquifer levels will be monitored both in each of the test wells, as well as in nearby monitoring wells. The acidizing, purging and aquifer testing process will be repeated for the remaining two wells to be tested. Mobilization, testing and recovery, and demobilization will take approximately 10-14 days for each well tested. The total volume pumped for all three wells will be approximately 10,000,000 gallons. Once pH and conductivity/TDS have stabilized, water that is produced during the aquifer test will be released onto the ground surface and flow through natural surface water flow paths to natural stock ponds or tributaries at the project site. In Texas, the most commonly used practices that involve acid injection into wells are for well rehabilitation, well development, and oil and gas production. Well rehabilitation typically involves injecting an aqueous acid solution into the screened interval of the well casing. The acid will react with the mineral or bacterial build up on the screen and essentially open up the slots in the casing to improve flow. Acidization for well development purposes in carbonate (limestone) aquifers involves injecting an aqueous acid solution into an open borehole well to increase the production capabilities of the aquifer around the well. An inhibitor is added to the acid solution to prevent the acid from reacting with metals (such as pipes and pumps). 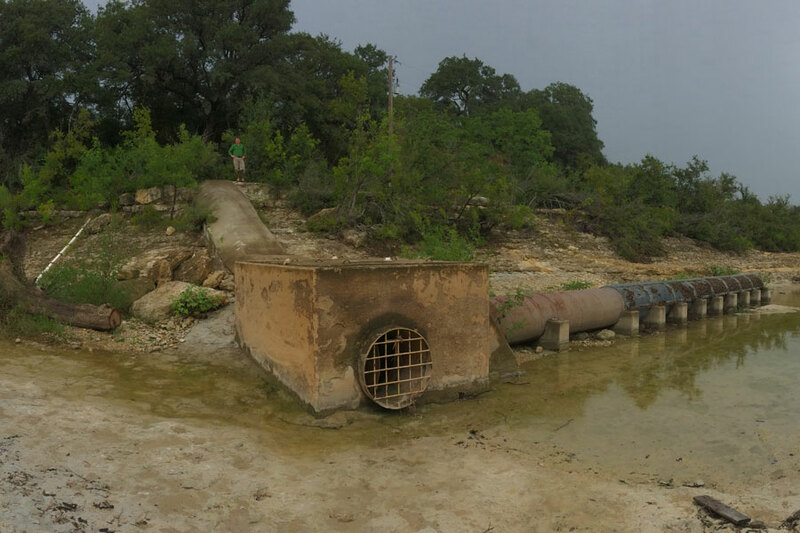 When an aqueous HCL solution reacts with limestone, the calcium carbonate is dissolved (producing carbon dioxide and water), which can improve the permeability of the aquifer around the well. The oil and gas industry also uses regulated acid application techniques to improve production from geologic formations that contain oil and gas. Each of these applications involves different techniques, different regulatory oversight and different types of acid solutions. 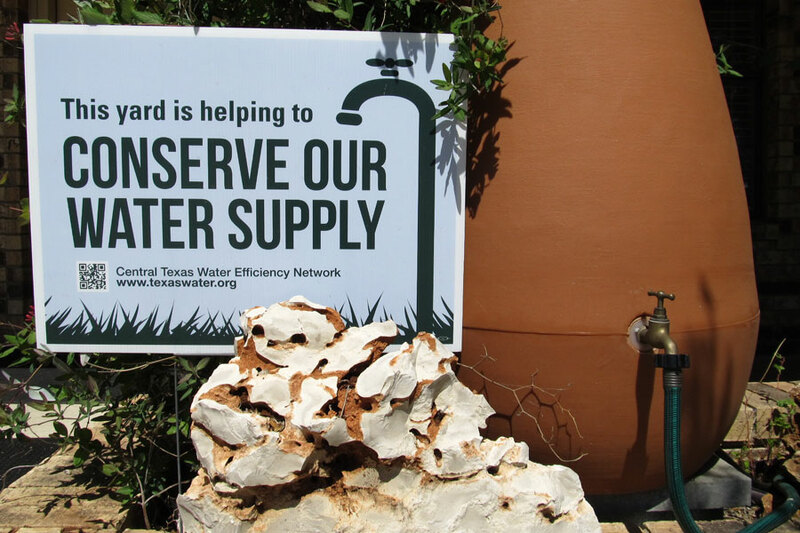 In Central Texas, acidization techniques are a fairly common practice for developing and rehabilitating groundwater wells in carbonate aquifers such as the Edwards and Trinity Aquifers. 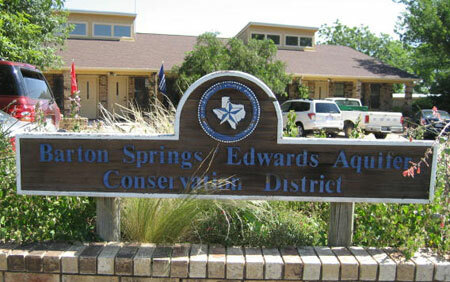 When will the acidizing/ aquifer testing get started? An exact date is still to be determined. 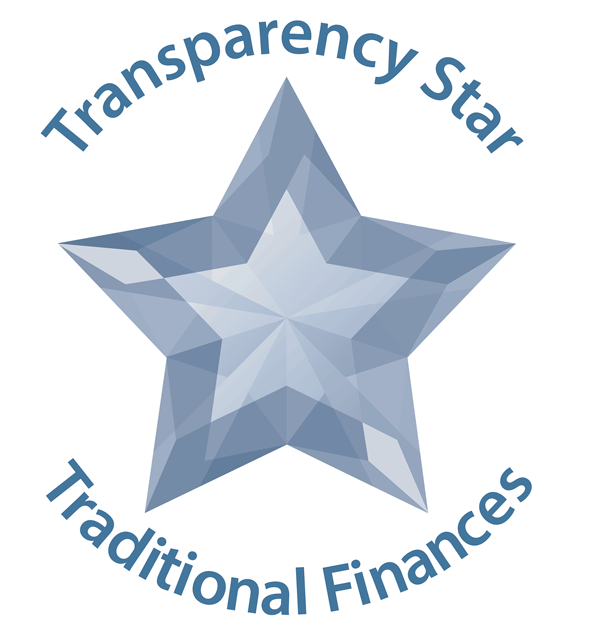 Staff expects the procedures to commence in mid to late October 2016. Electro Purification will notify the District prior to commencement of acidization for each well. The District will update the website once a date is decided. Who regulates acidizing procedures of groundwater wells and does the GCD have control over those procedures? The District’s regulatory authority of well acidizing procedures is mainly limited to consideration of the risk for waste (contamination) of groundwater and compliance with the District’s well construction standards. Such consideration involves review of a well design plan and the proposed procedures for well development associated with well construction. 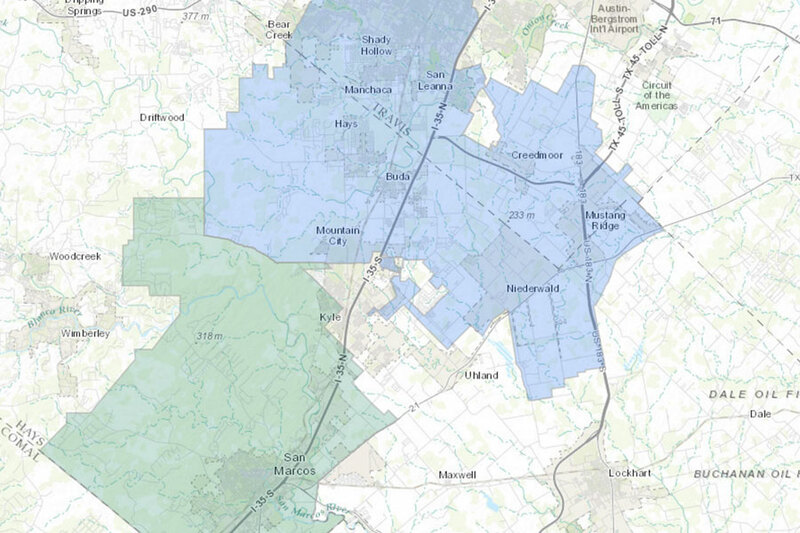 The District considers well acidizing to be a common well development practice that poses very low risks to the aquifer and surrounding well owners.Acidizing procedures for well development of Public Water Supply wells falls within the purview of the Texas Commission on Environmental Quality (TCEQ). There is a well design and authorization review process at TCEQ specifically for groundwater public supply wells. TCEQ does not consider well development acidizing procedures to be an injection well application, and therefore, does not require an injection well permit.The short answer is that there is little regulation on acidizing wells for permeability, rehabilitation, or for oil and gas production. TCEQ has some guidance as well as the Railroad Commission. However, the District has no specific regulations or construction standards focused on requirements for acidization but does review proposed well development procedures to ensure any risk of adverse effects is low. How far will this acid travel and will it affect my drinking water? It is difficult to quantify and determine how far the aqueous acid solution will travel. For this specific project, the District estimates an aquifer impact radius of 15ft around each borehole. These are estimates based on scientific calculations used for underground injection wells. Because the Trinity is a karst aquifer, it is possible for any substance or solution to travel further through the aquifer. We understand that the 28% HCL solution used for this procedure reacts quickly and stabilizes in the first 24 hours. A well owner might temporarily experience more mineralization in their water, which gives a noticeable taste difference. The risk of local well owners experiencing harmful effects from this particular acidization job are relatively low. District staff will be monitoring nearby domestic wells for any indication of water quality changes. Where is all the flushed out water (acid discharge water) going to go? The acid is injected into the well in increments along with 60,000 gallons of water to force the acid into the formation. Once the acid has reacted and mixed within the formation for approximately two days, the well is pumped and the discharge water is captured in a location not on the ground surface, but rather in a trailered vehicle with an open collection tank. The water sits in that holding tank until it buffers to a 6.5 pH. Once it buffers, the water is released onto the ground surface at the project site, and to natural flow paths that may naturally reach nearby tributaries or water features. It is expected that the acid volumes and discharge water will be significantly diluted with the volumes of produced water resulting from the aquifer testing. Who regulates the discharge water resulting from well acidizing procedures?Discharge of process water or wastewater to surface waters of the state falls within the purview of the TCEQ. If TCEQ determines that a process produces discharge water that 1) constitutes waste as defined by TCEQ, or 2) has the potential to degrade groundwater or surface water quality or be detrimental to human health and safety as determined by TCEQ, then TCEQ will require a permit.It is the responsibility of the applicant and its licensed drilling contractors, licensed hydrogeologists, project managers, and landowners who designed and developed these plans, to secure any other applicable permits or authorizations and take the appropriate safeguards to ensure compliance with other applicable rules and requirements of the District and State. EP will be coordinating with TCEQ to ensure that all aspects of the procedure including disposal of the produced water are in compliance with TCEQ requirements. 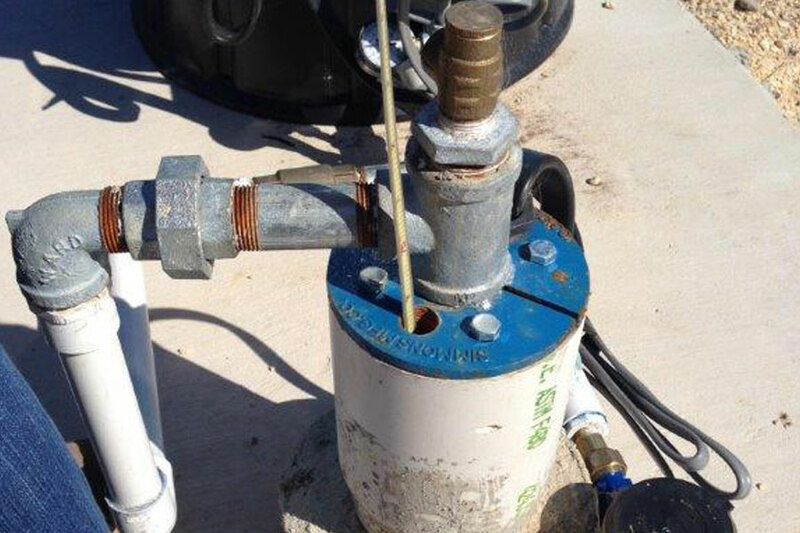 Will the District monitor my well during the aquifer test?Both the applicant and the District will monitor specific wells for water level fluctuations and water quality changes. Approximately 20 wells will be monitored, some of which will also be monitored for water quality. These wells have already been reviewed by BSEACD staff and the applicant and deemed as geologically representative and appropriate for monitoring.